Dogs are fans of Faith, the Ugly Dog too! I was so excited to see this photo of sweet Kimber enjoying her copy of Faith, the Ugly Dog! 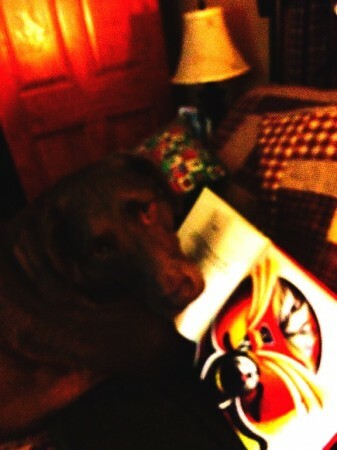 Proof that dogs like the book too! I see that she is admiring the page where Buzzardillopossum is flying. Perhaps Kimber wishes that she could fly with Faith on her next adventure? Thanks to my sweet friend, Sharon T. for sharing this photo! « Previous Post: Fun photos of Faith fans!